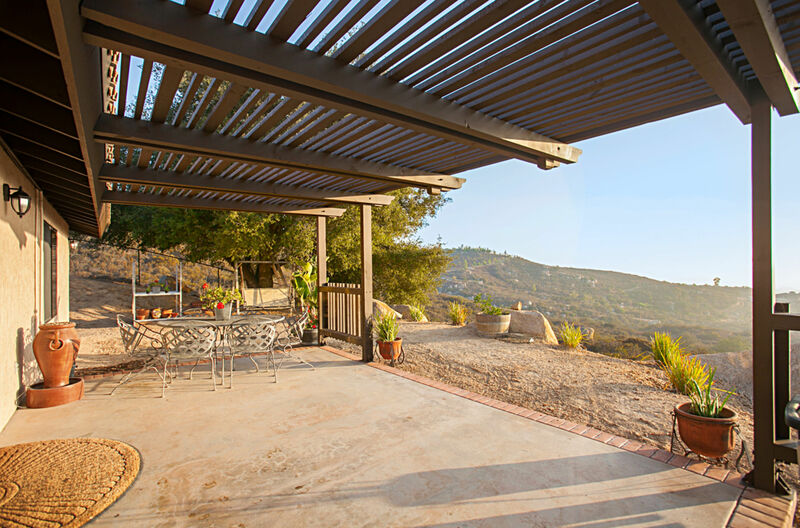 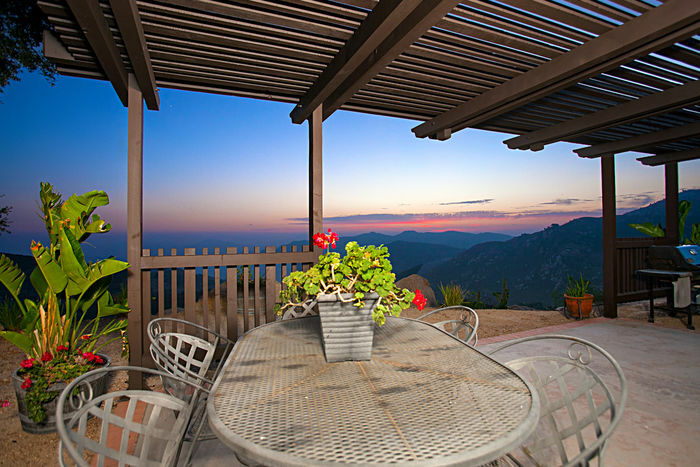 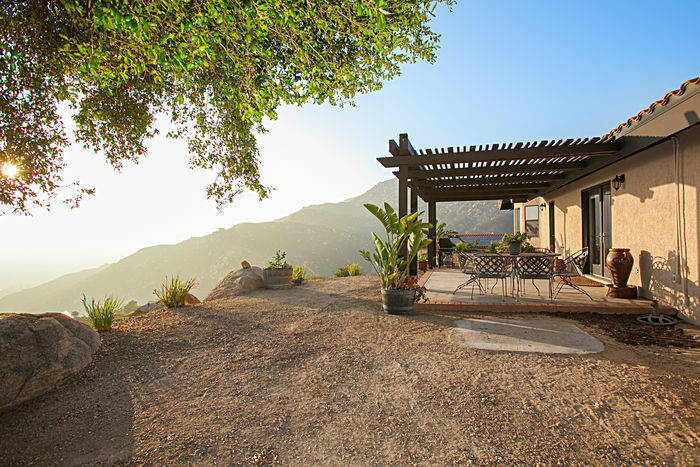 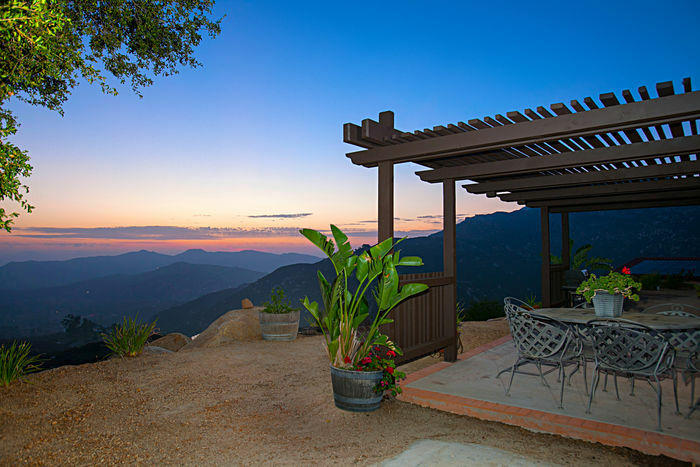 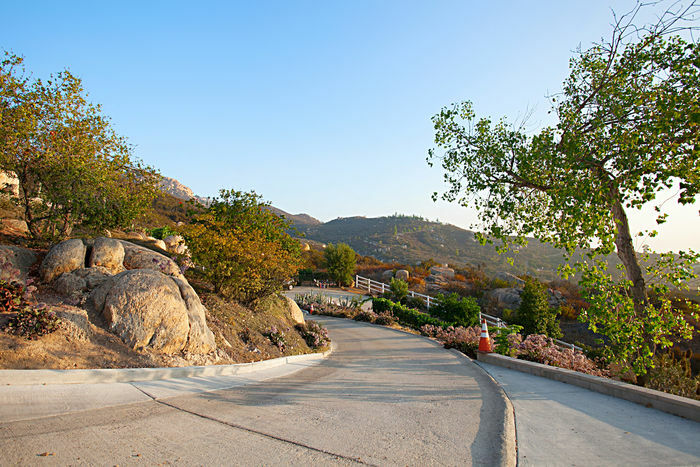 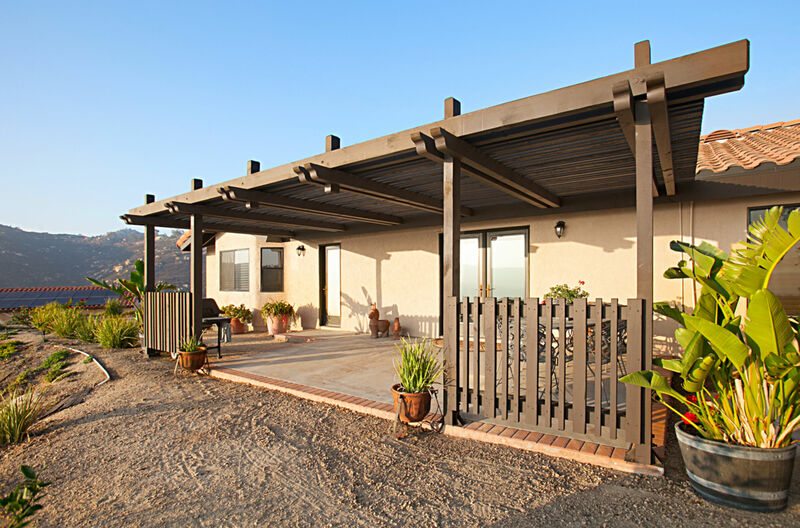 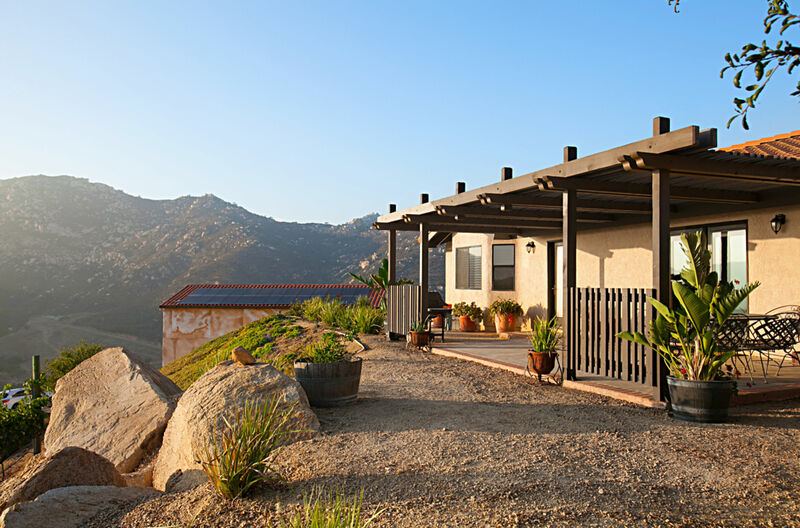 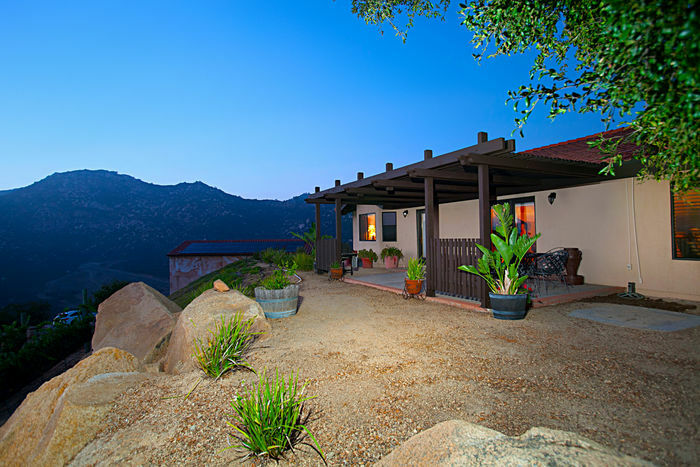 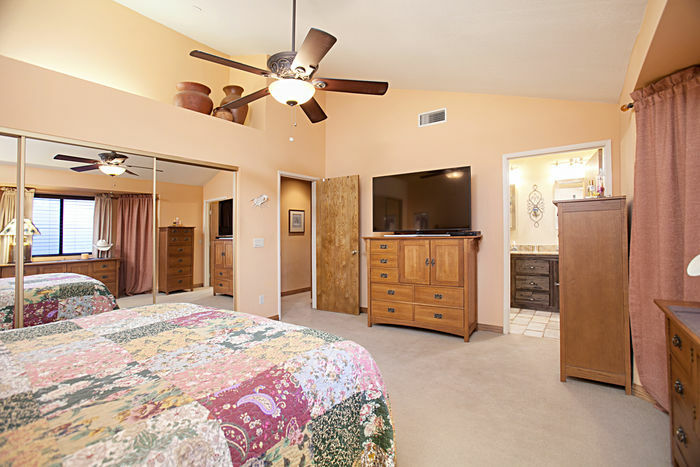 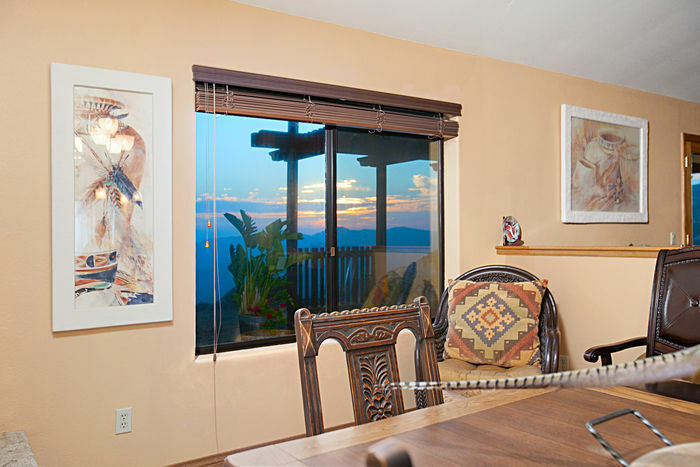 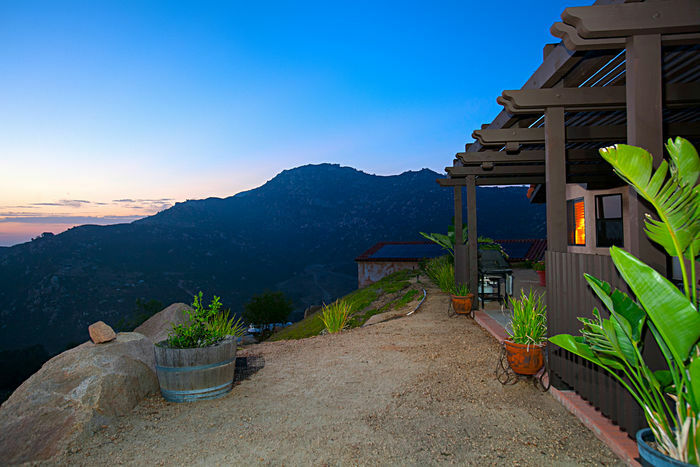 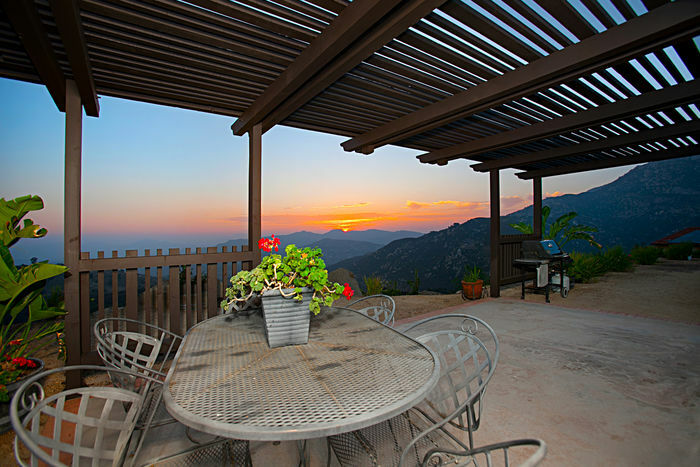 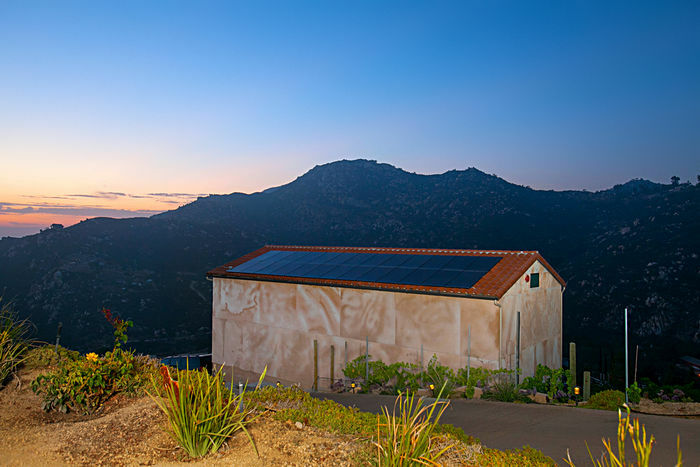 Spanish hacienda perched high atop the mountains of Jamul! 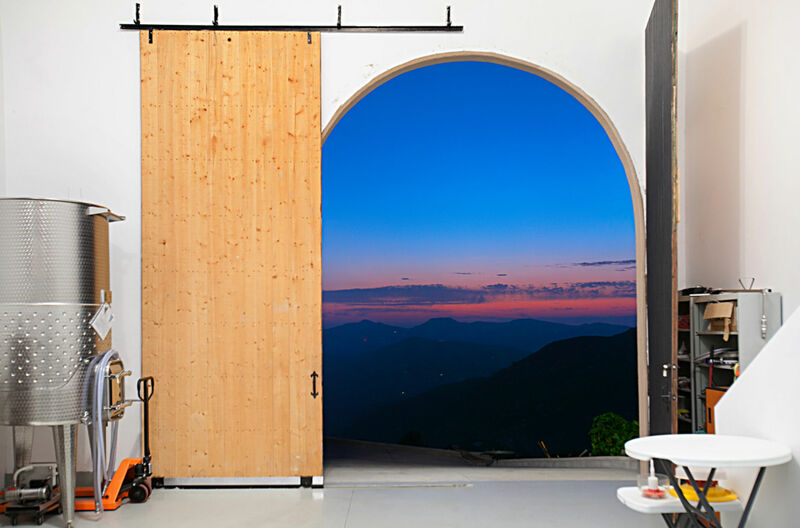 With breathtaking sunsets and hillsides covered in Spanish grape vineyards, this property will not cease to amaze. Not only do you have the option of owning this beautiful residence you have an opportunity to purchase the highly established boutique winery, Spanish Peacock Winery. 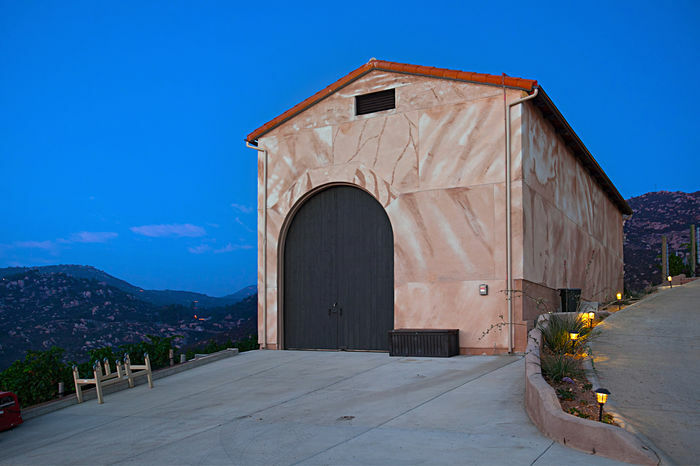 With its phenomenal reputation among wine enthusiasts, this labor of love is ready for the next level of investment. 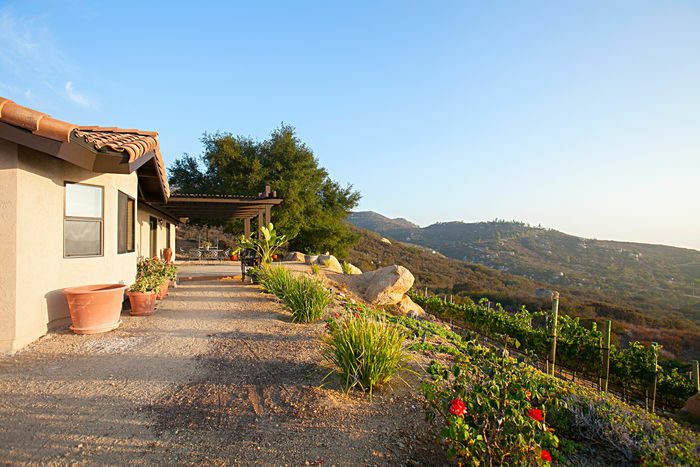 Come for the horses, stay for the wine! 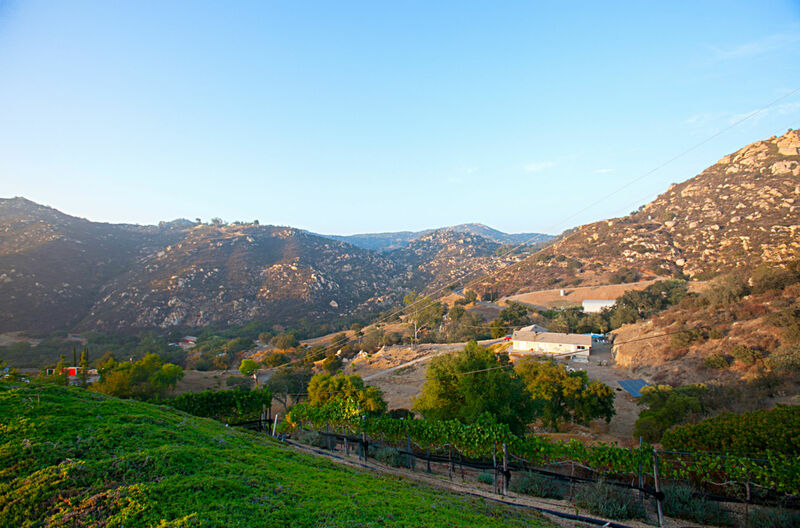 Reminiscent of Napa Valley, you are greeted by a mature Spanish Grape vineyard among rolling hillsides on this 135,036 (3.1 acre) parcel of land along with 2 apple trees, 1 lime tree & 3 avocado trees (bacon, hass & fuerte). 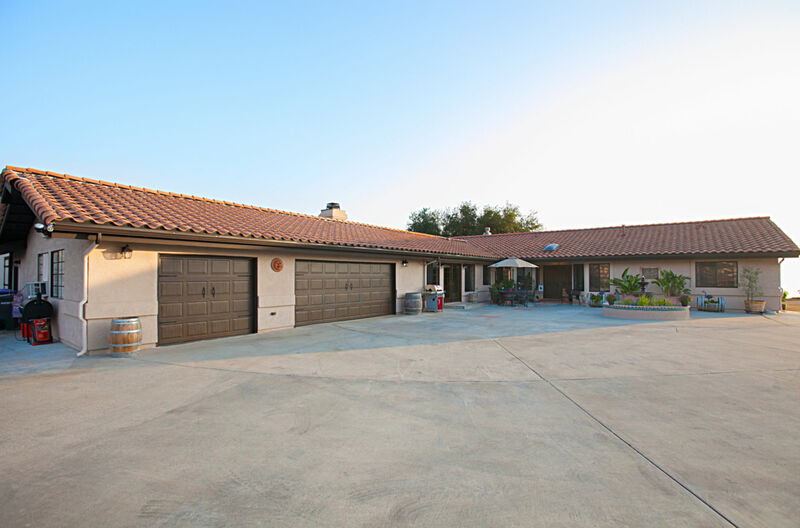 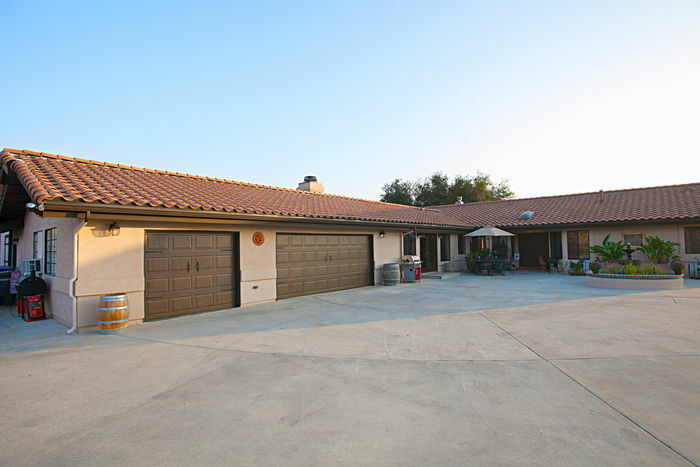 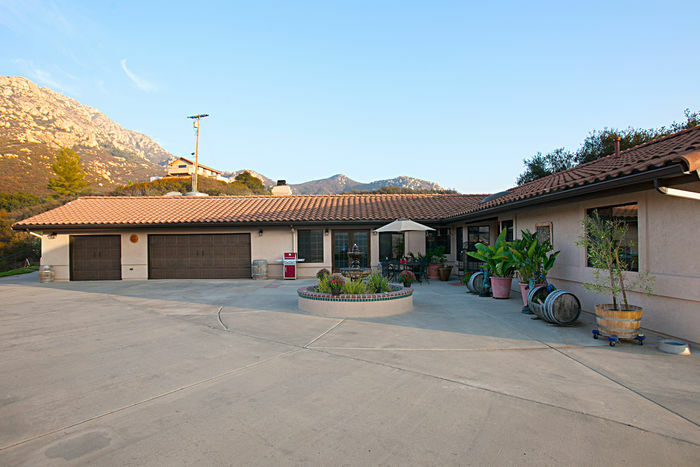 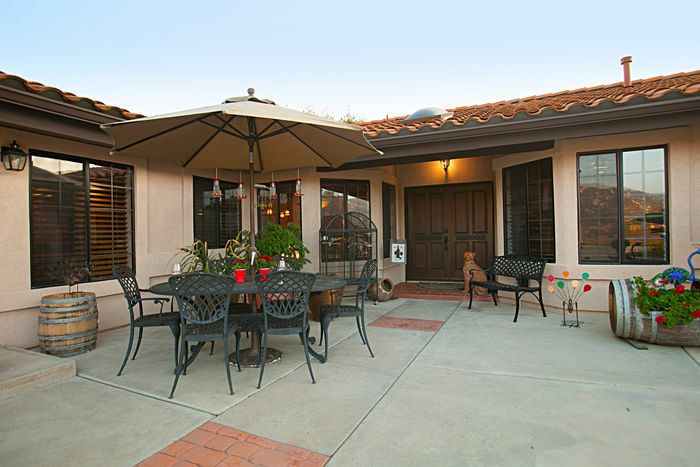 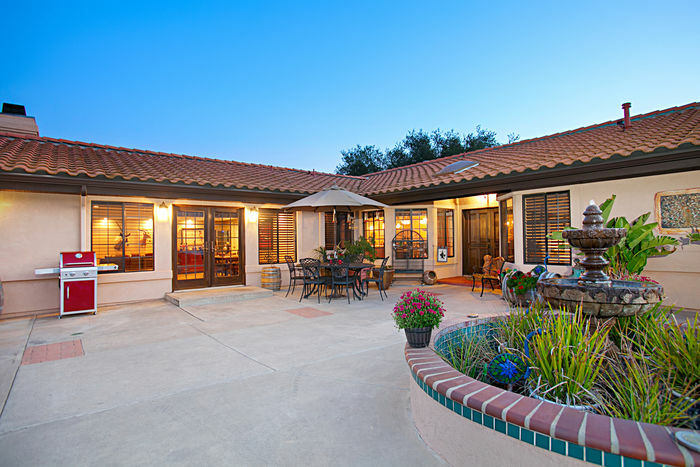 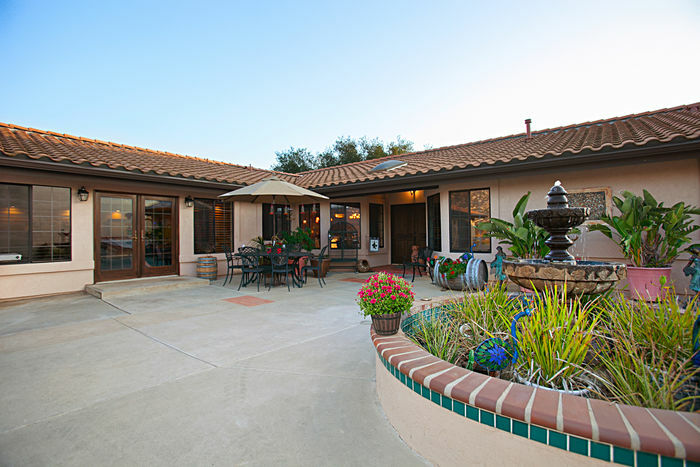 This Spanish hacienda features Coastal Oak double front doors to entry, 3BR/3BA, 2,461 esf. 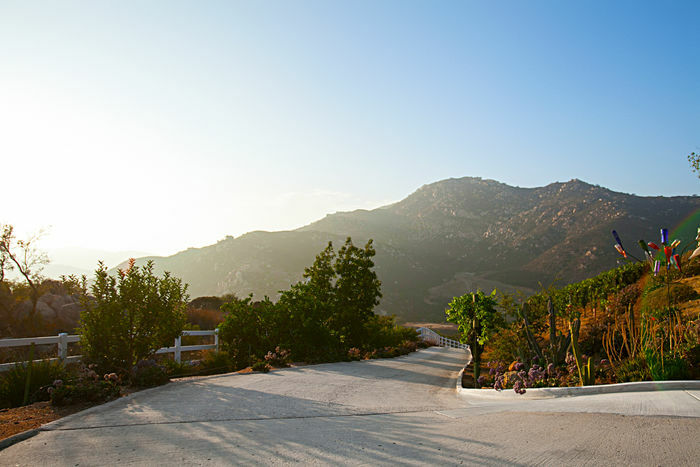 with 360-degree breathtaking mountain, hillside, ocean & sunset views as far as the eyes can see. 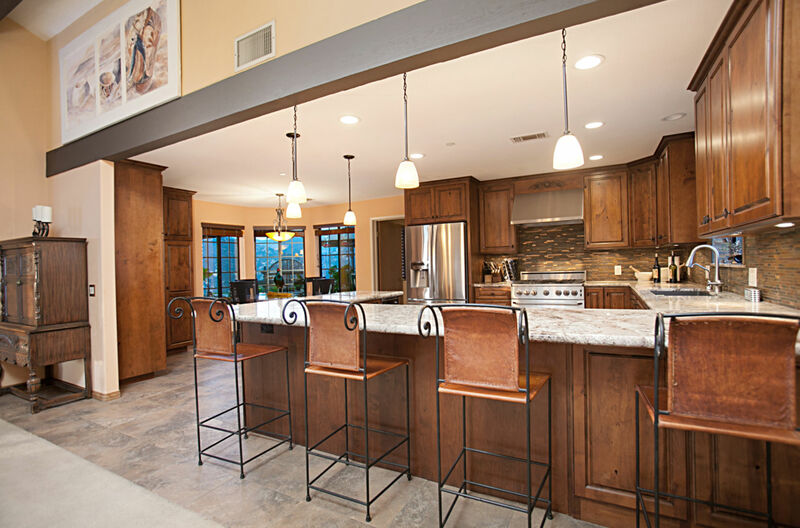 The functional layout focus is on entertaining and wide-open spaces. 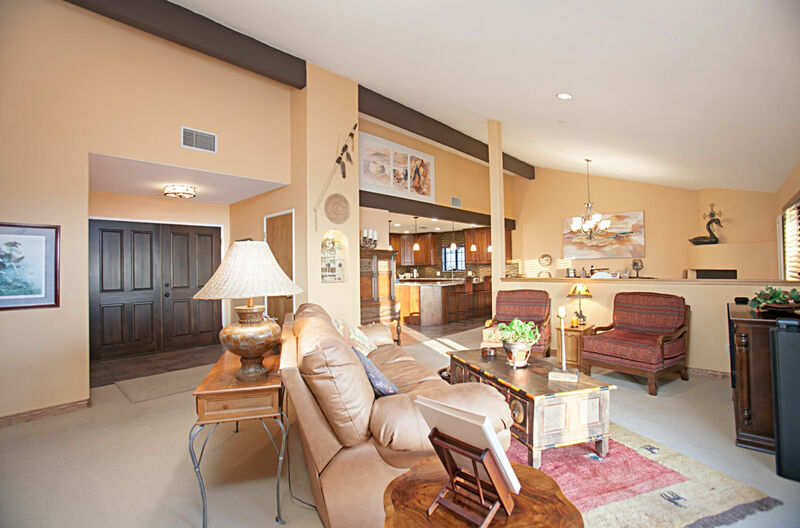 The formal living room features high ceilings and opens to the formal dining. The French doors lead you to a private patio area covered with a new trellis with unique touches of carpentry. The formal dining room opens to both the living room & gourmet kitchen plus features high ceilings & a custom fireplace. 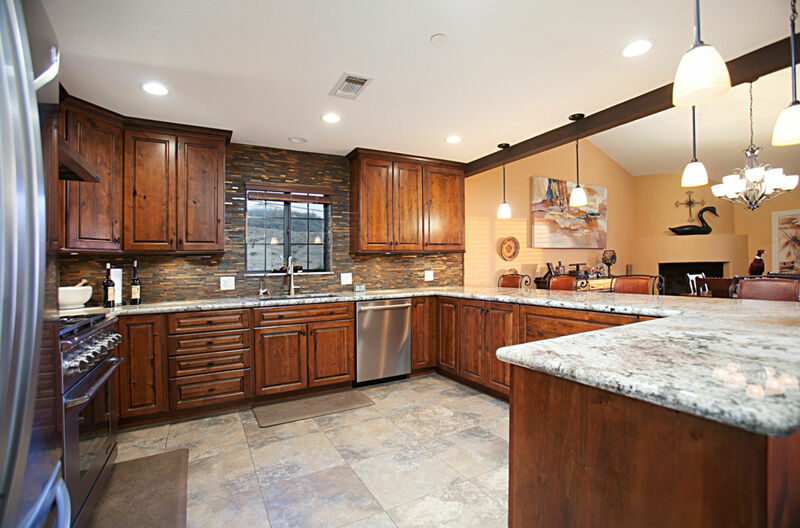 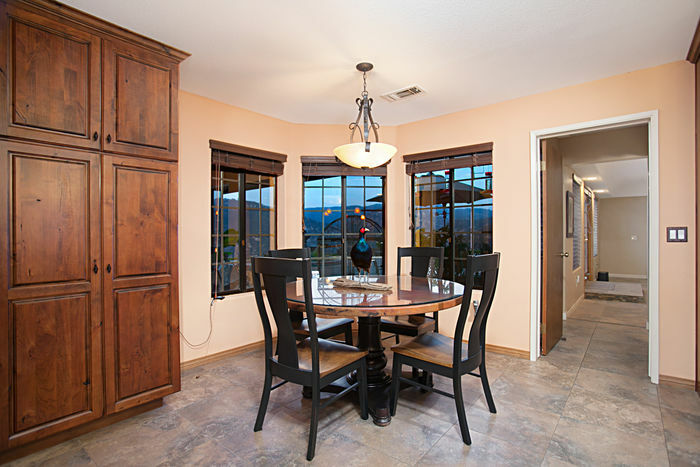 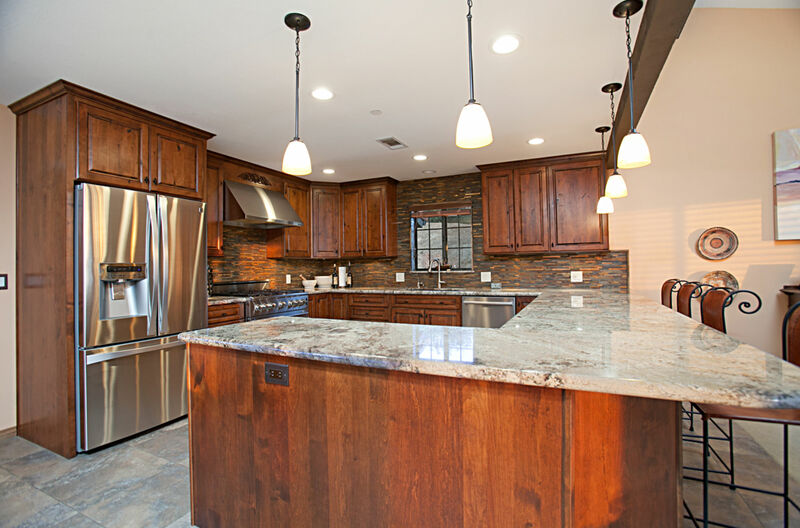 The kitchen is a work of art & exhibits rustic class & elegance throughout. 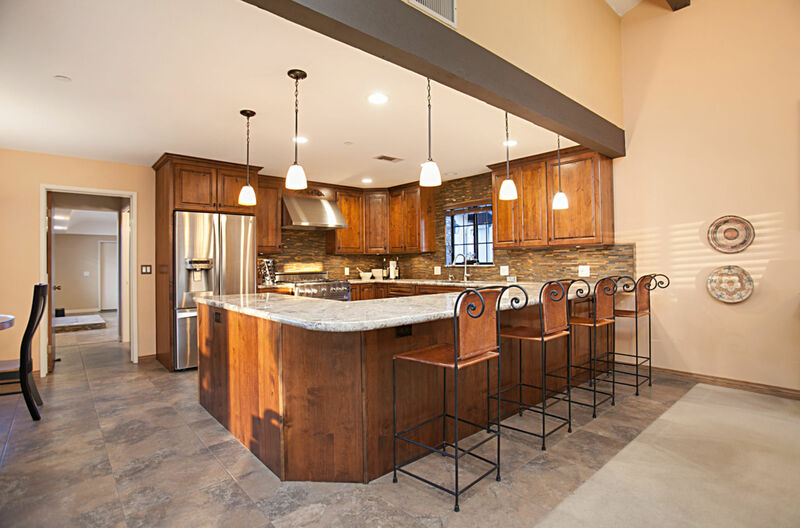 Custom granite counter tops, copper & travertine backsplash, custom cabinets made with a black whiskey finish, all soft closing, recessed lighting & stainless appliances including a commercial grade 36" Premier Decor stove. 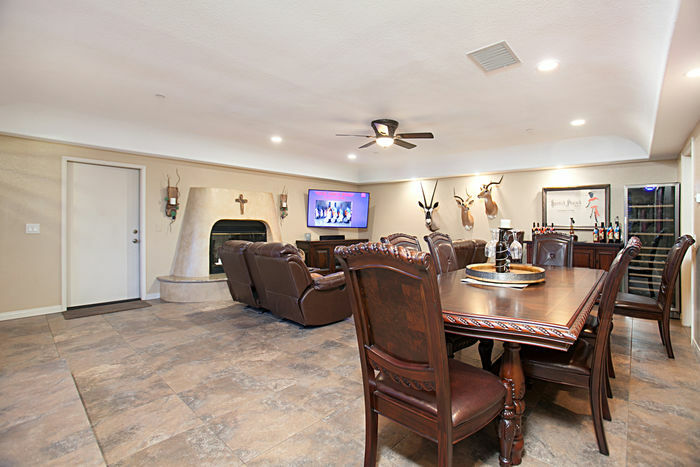 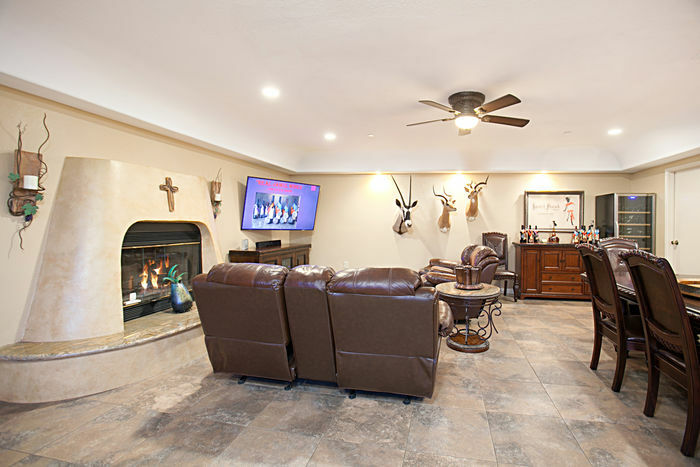 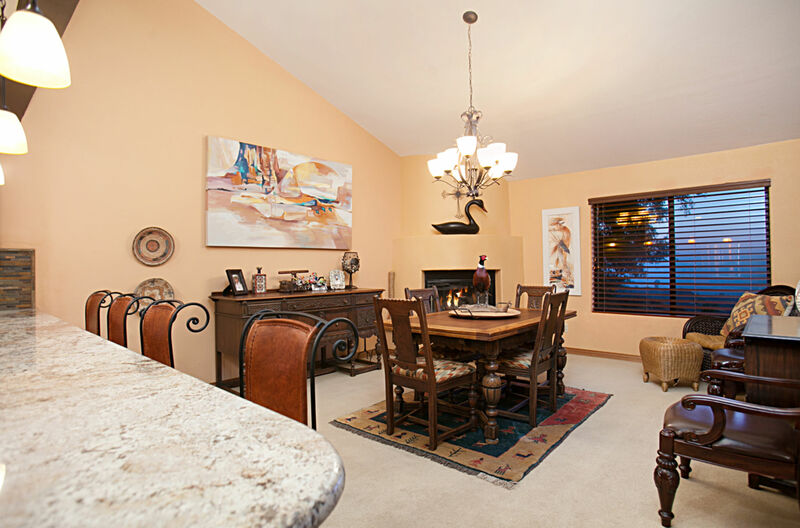 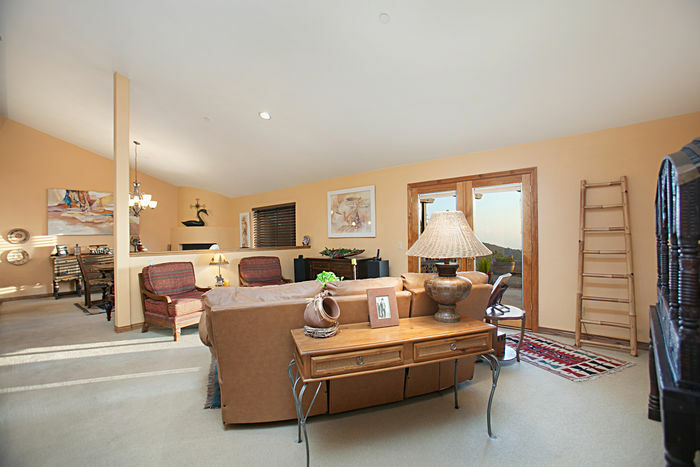 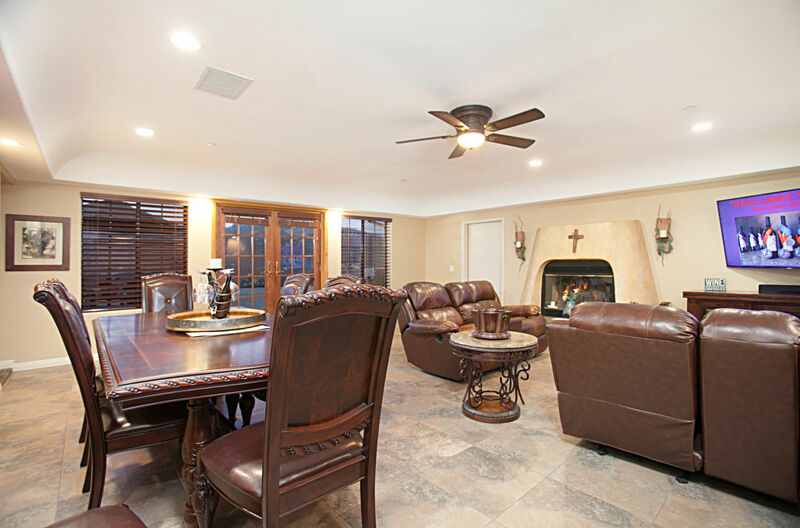 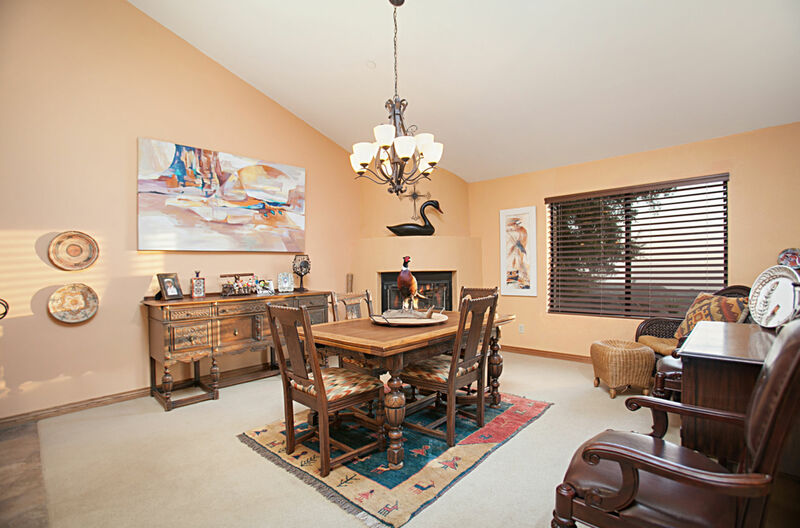 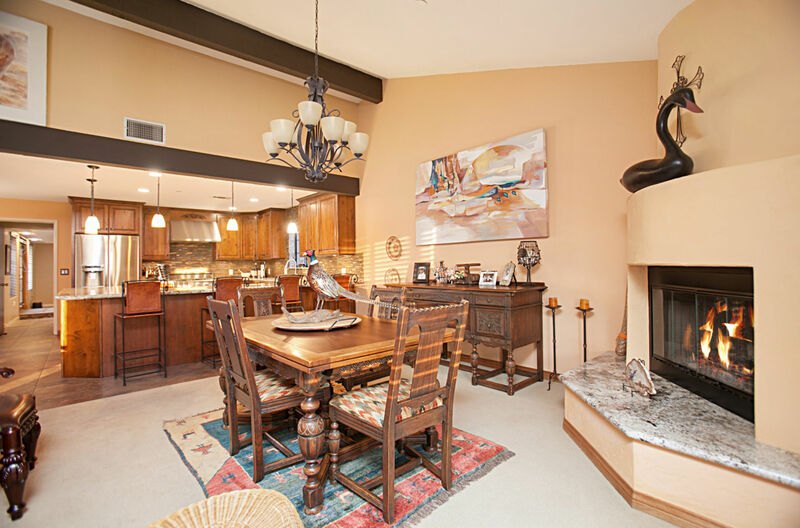 The formal family room is a perfect setting for entertaining & even allows for private wine tasting experiences. 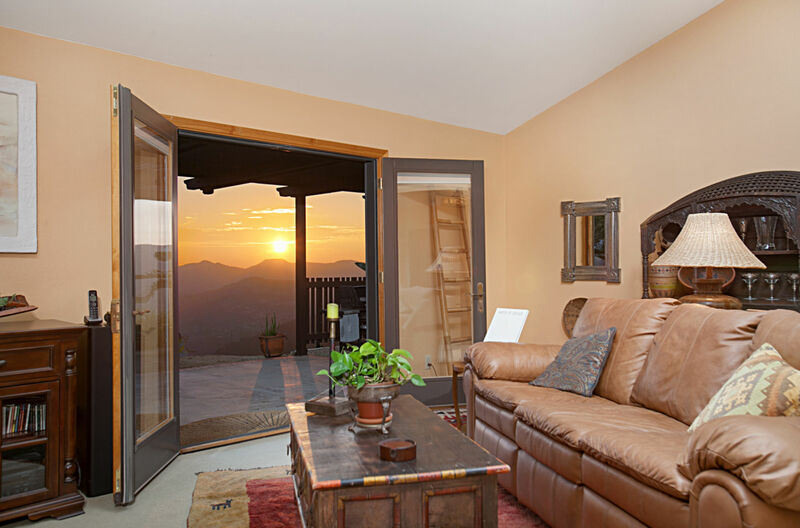 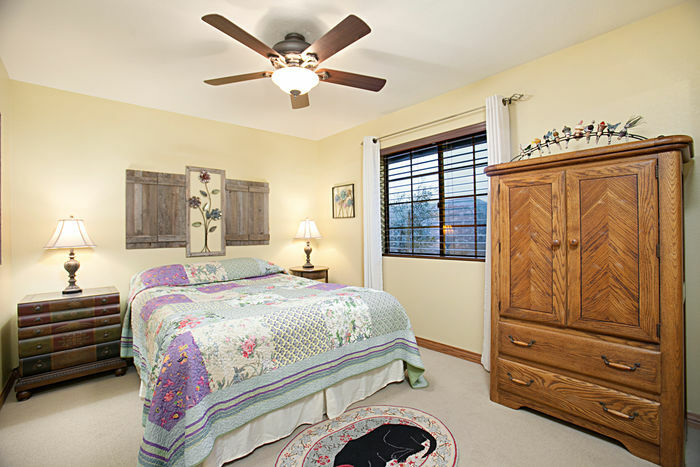 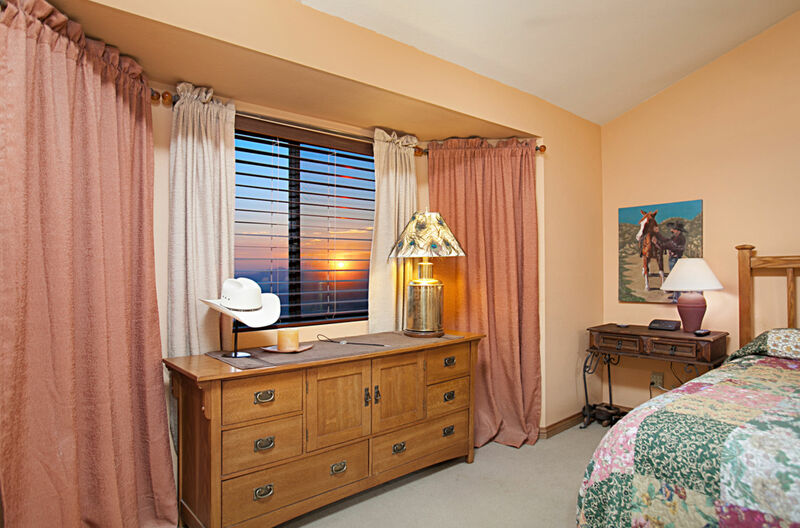 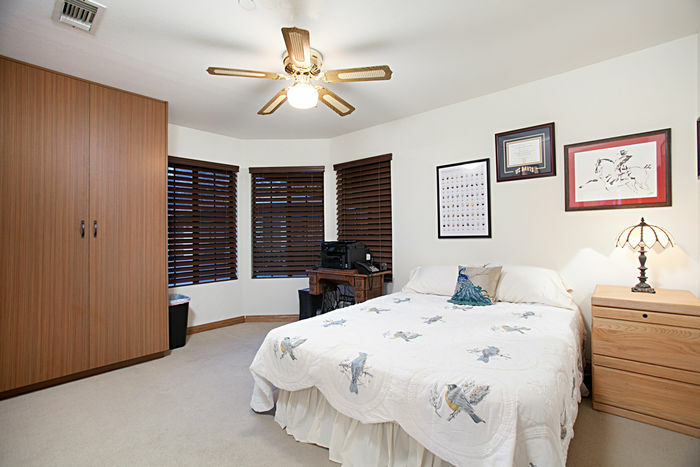 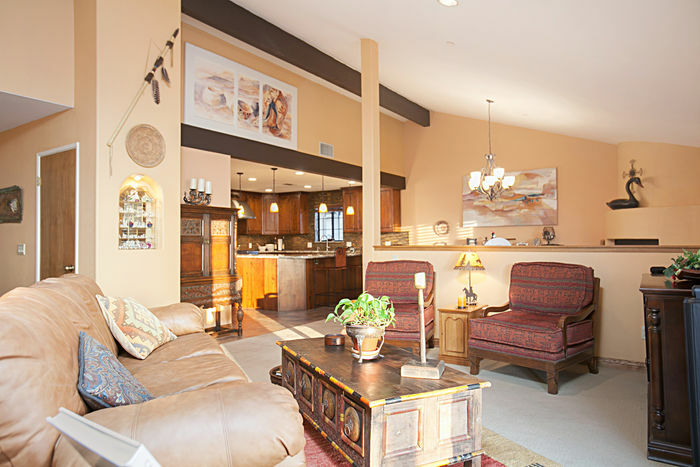 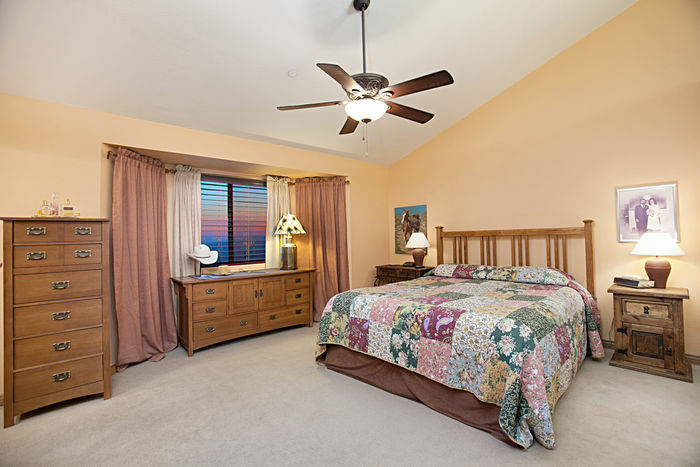 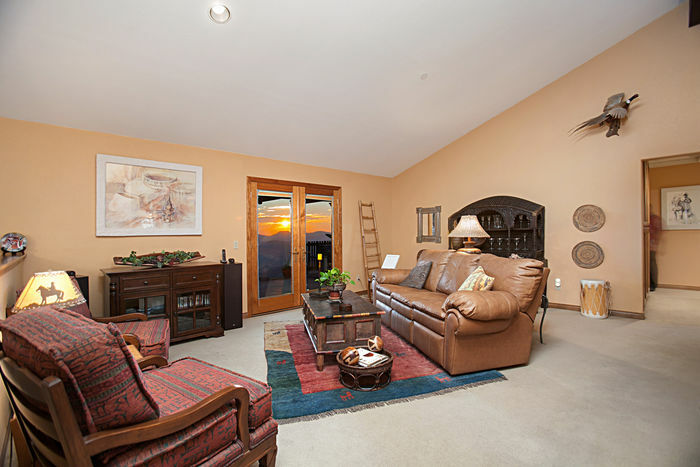 The room is overly inviting with stone tile flooring, a custom fireplace & French doors capturing the mountainous views. 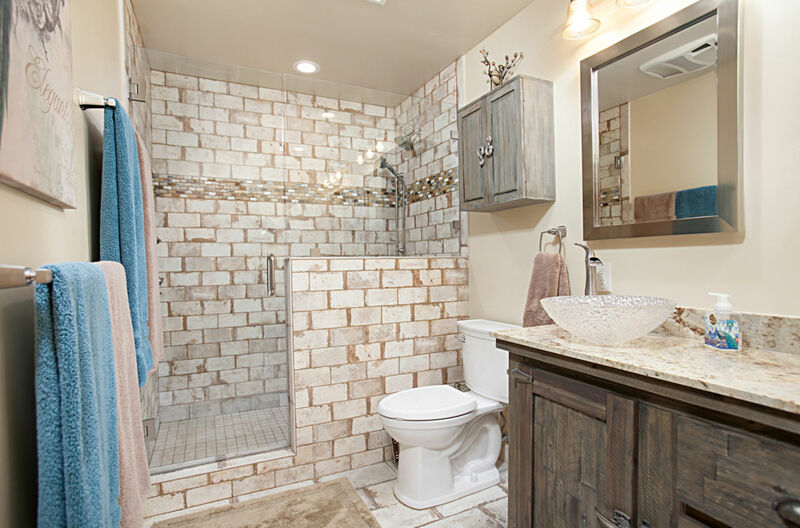 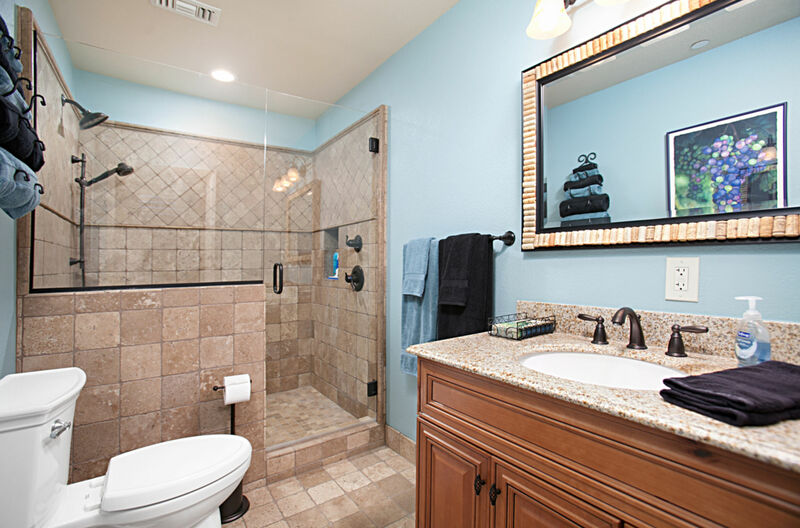 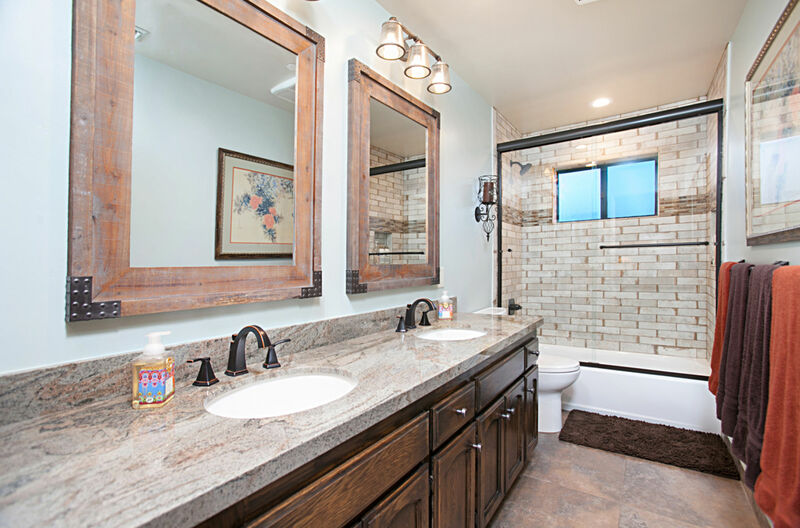 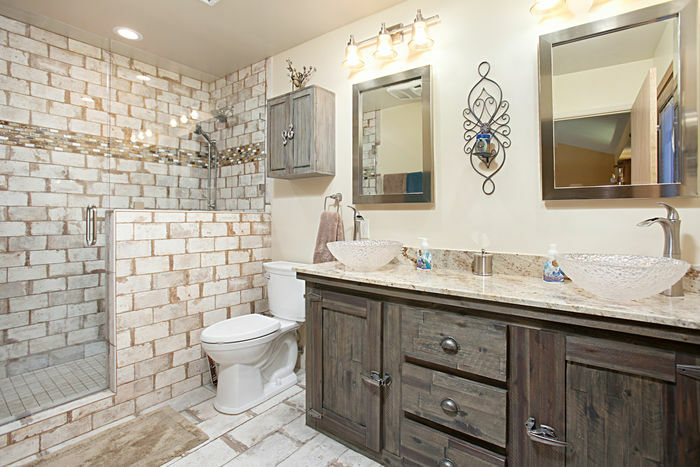 All three bathrooms have been tastefully remodeled. 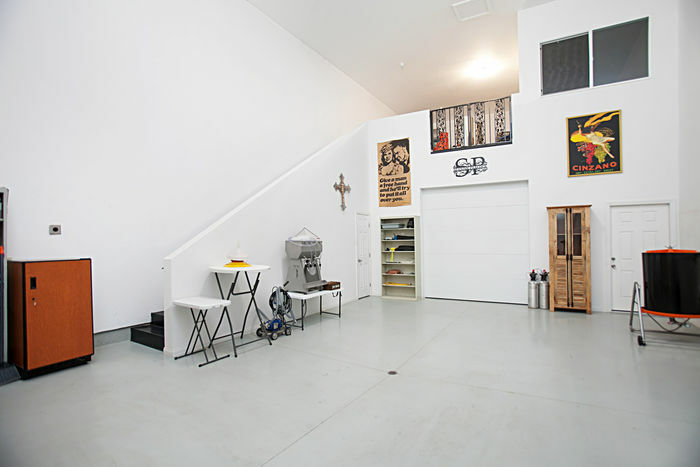 There is also an additional 2,200+ sq.ft. 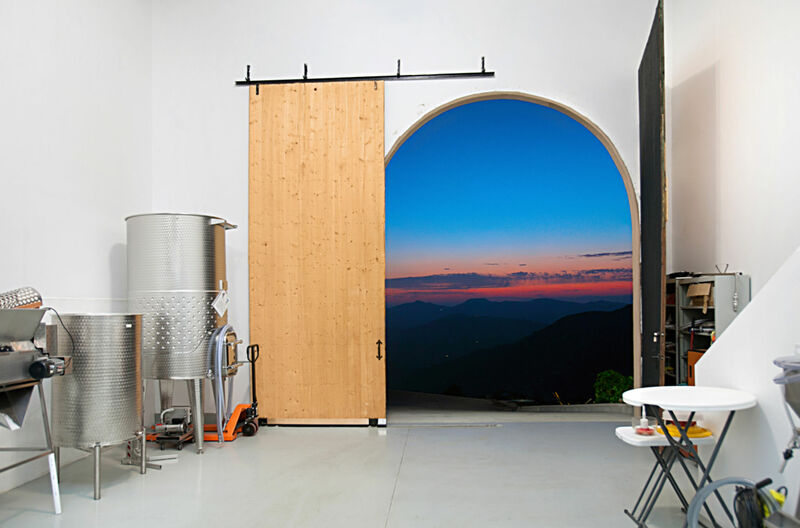 building perfect for a wine tasting room. 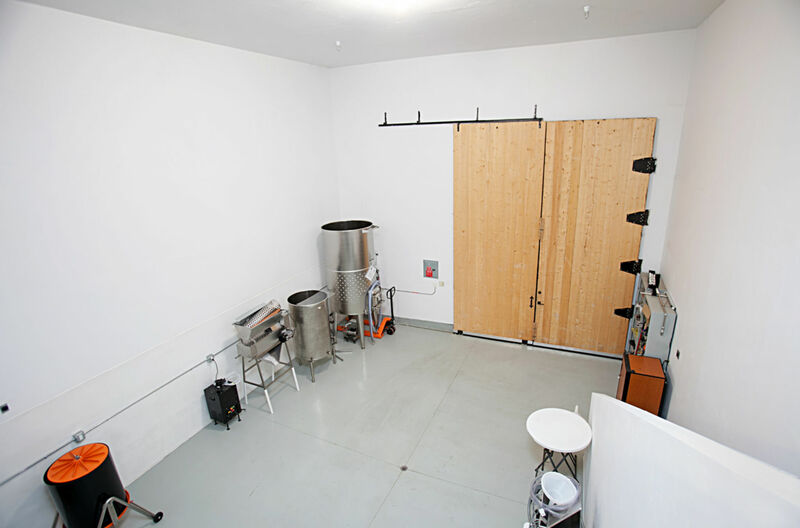 It currently features 21-foot ceilings, a loft area, barrel room, laboratory with French drains, hot/cold water, A/C & aircraft grade epoxy paint flooring, 18" joists designed to carry 30,000 lbs. 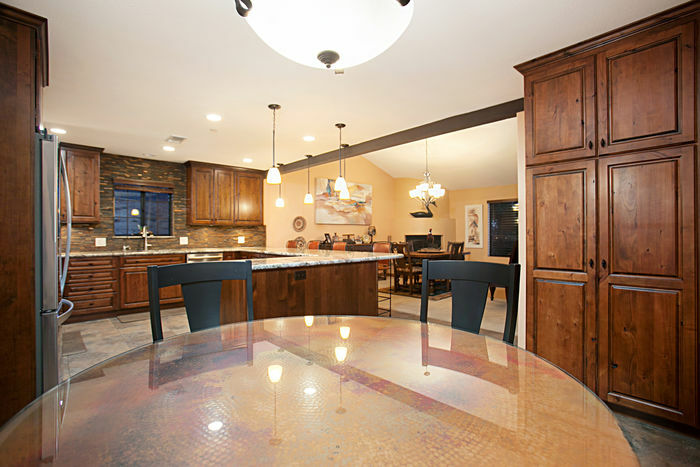 weight, insulated flooring, mold resistant purple drywall & a Tesla charger. In addition to the cosmetic elegance, the home also features practical upgrades such as Solar panels (fully owned) with no electric bill being paid in over 4 years, whole house Culligan treated water system, efficient heat pump electric Kenmore/LG hot water heater, 3,600 gallon holding tank that produces 35 gallons per minute, a reverse osmosis system, a 20×10 storage unit & ample parking of an attached 4-car garage & 12-car parking driveway. 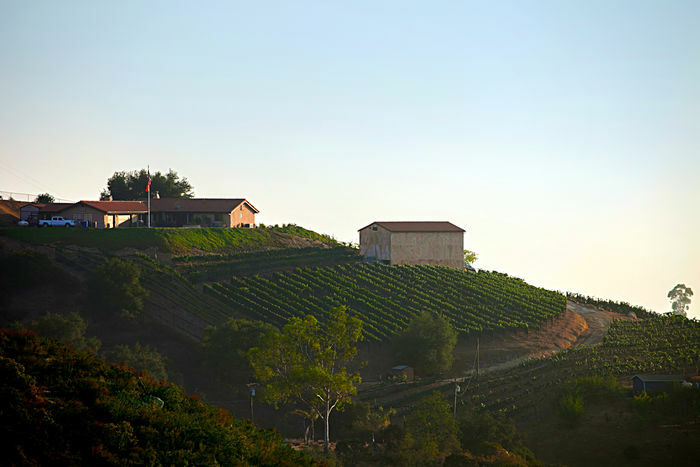 Inspired by the old-world style wines, Spanish Peacock wines were developed in the style from the exquisite examples of red & rosé wines from northern Spain & southern France. They were specifically created to pair well with the unique cuisine of California, still alive today from the days of the Spanish Californio Ranchos. These are wines that transcend time when paired with the foods charmed by the old settlers with spices & flavors of Mexico, Spain, & southern France. 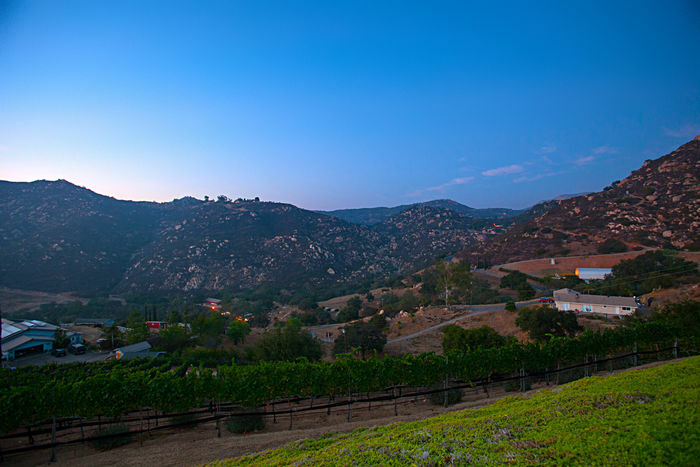 The Spanish Californio Rancho culture enjoyed imported Spanish wines with locally farmed foods, range raised cattle, & wild game. Aged in American & French oak barrels, for added complexity & structure for long bottle-aging. 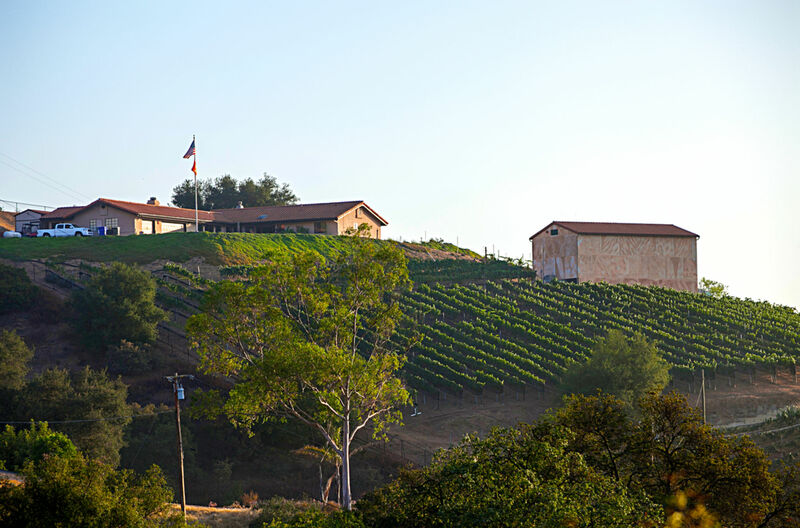 Long bottle aging of these wines develops unique fruit, floral, earthy, & spice notes surrounded by softer tannins as they mature, promoting a long finish. 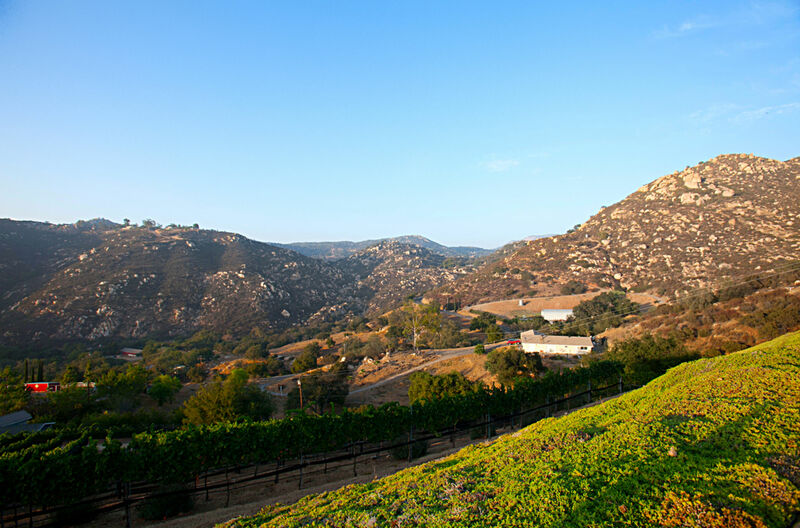 Spanish Peacock Winery is a San Diego wholesale-only winery. 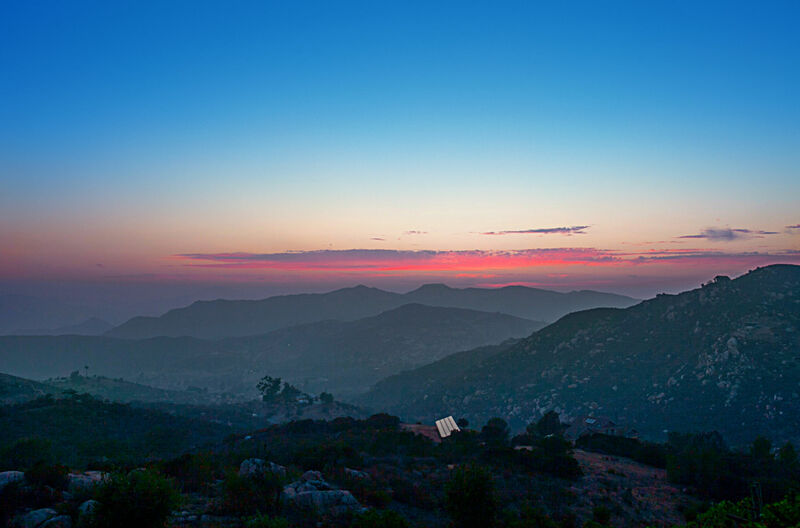 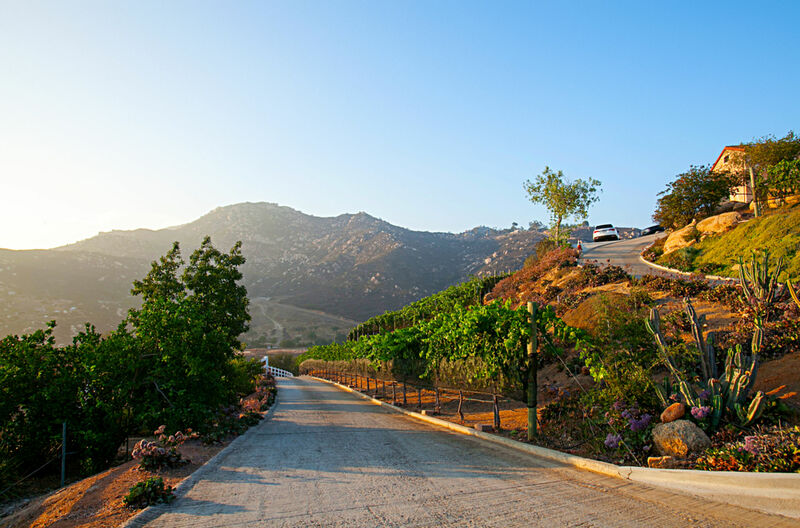 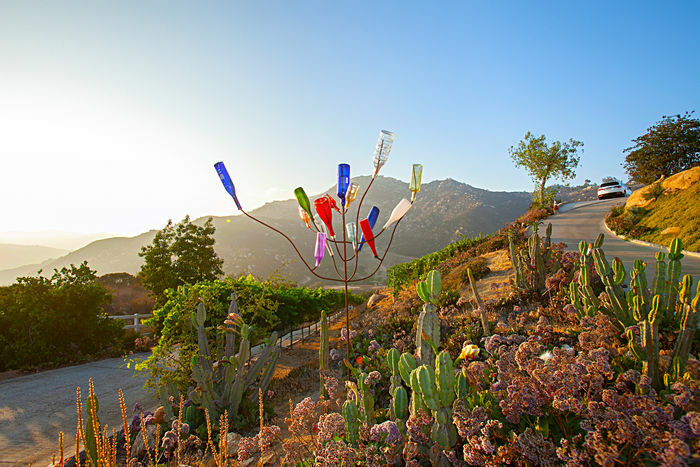 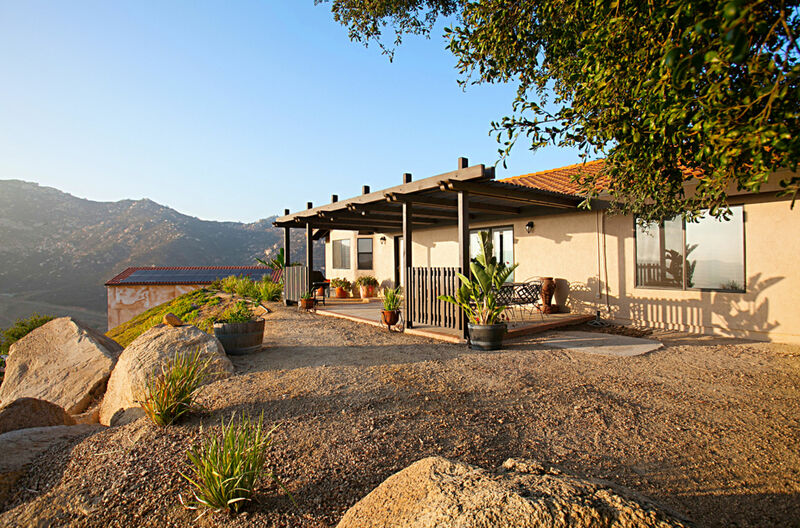 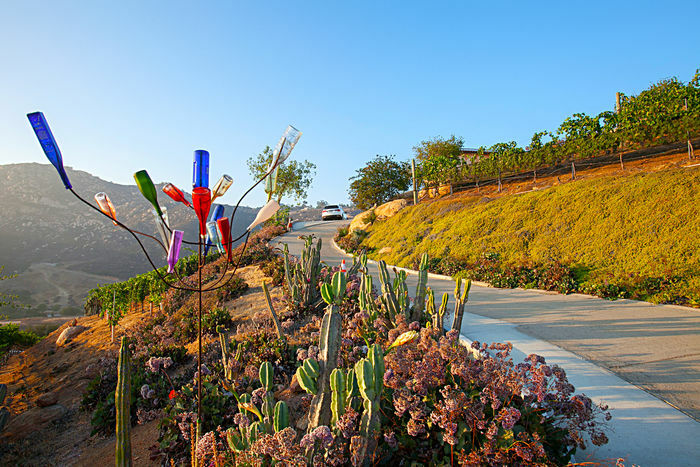 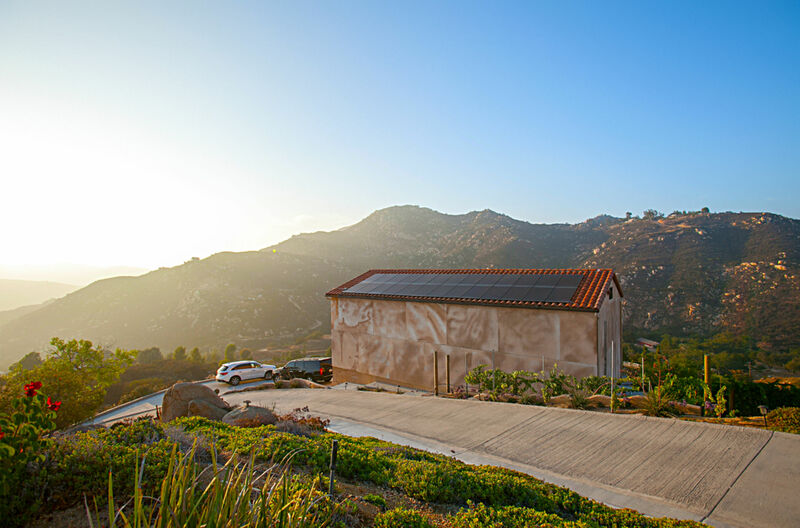 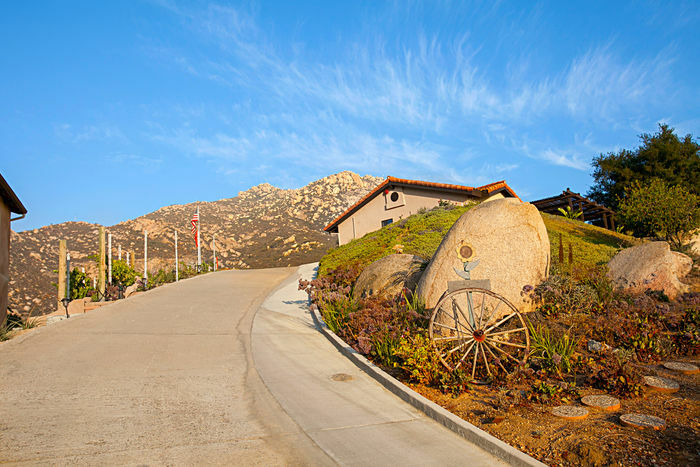 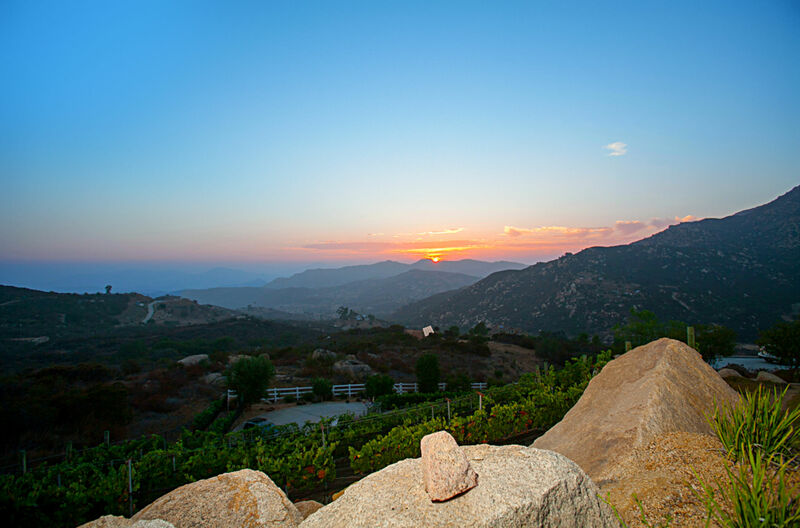 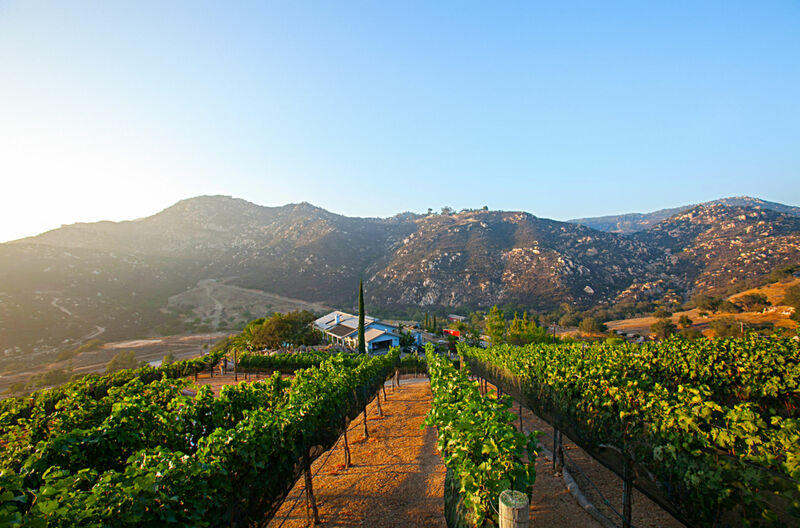 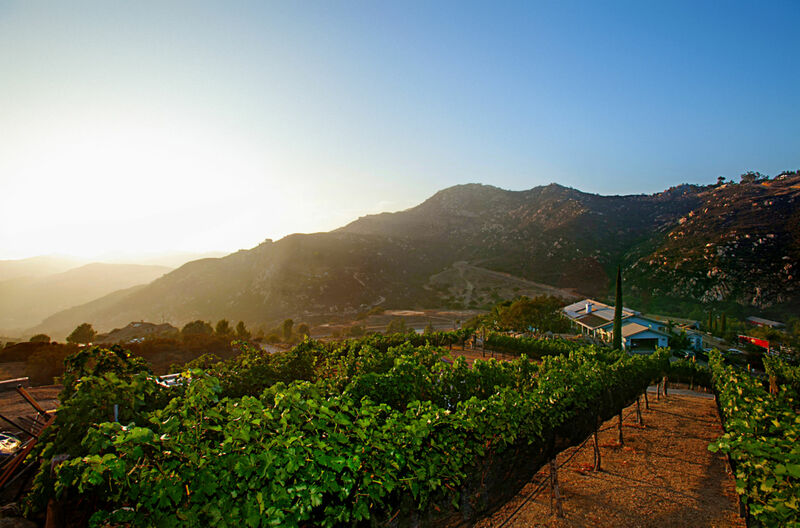 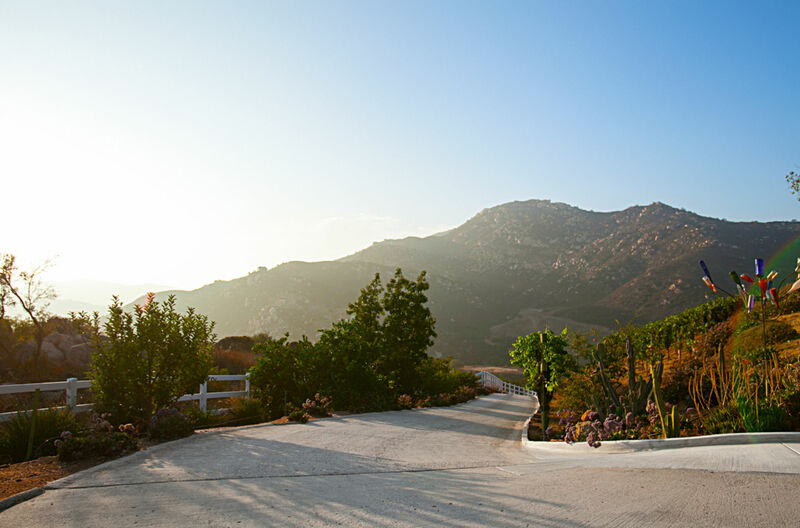 Located in Jamul, CA, in the foothills of East County San Diego, the vines enjoy a spectacular view of the ocean & sunsets. Private wine tastings by appointment when available. All the wines add a new dimension in Spanish-style wines, grown locally, with flavors that can only come from the Jamul area & environment. They complement the unique cuisine of California Spanish history & its heritage to the Ranchos of yesteryear, a culture & cuisine still very much alive today. 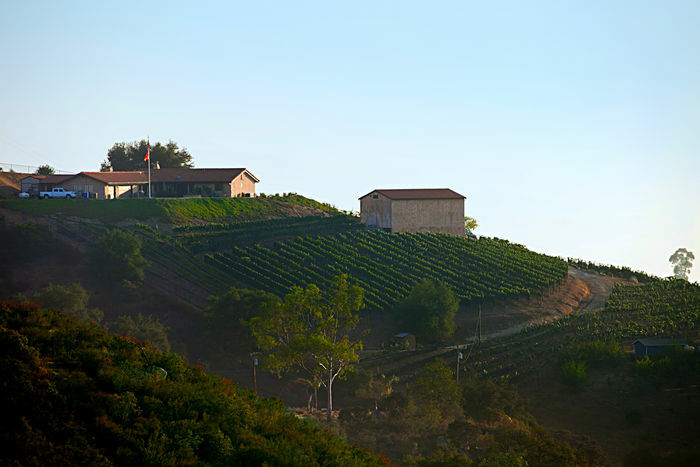 With over 18 years of study, research, development, and experience in this style of unique wines, Spanish Peacock Winery brings back an almost forgotten dimension to dining in San Diego. 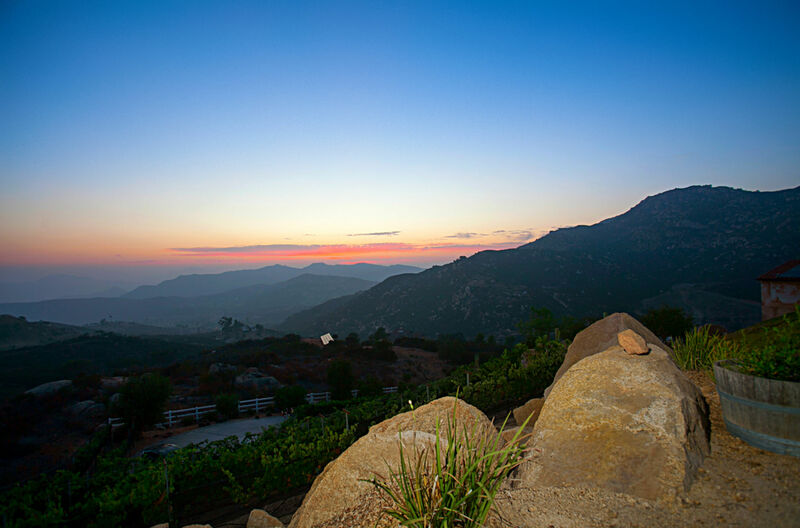 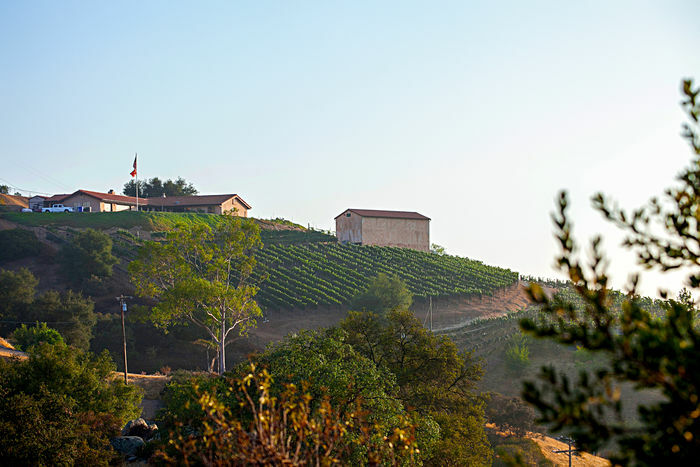 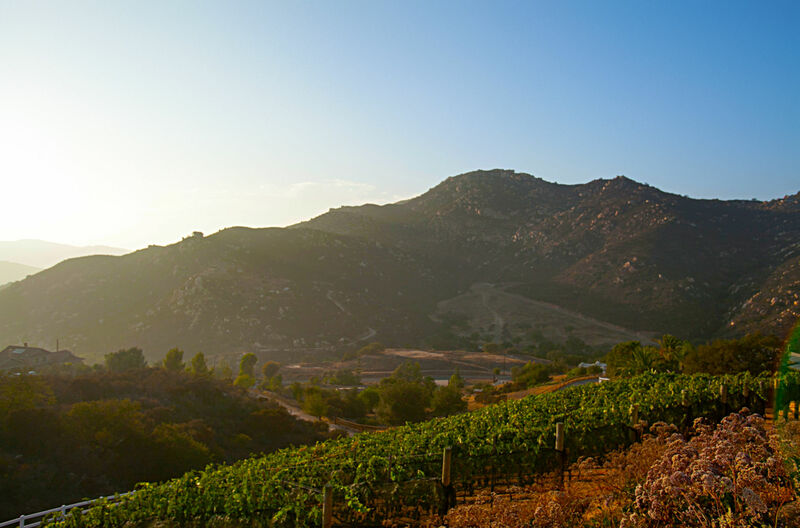 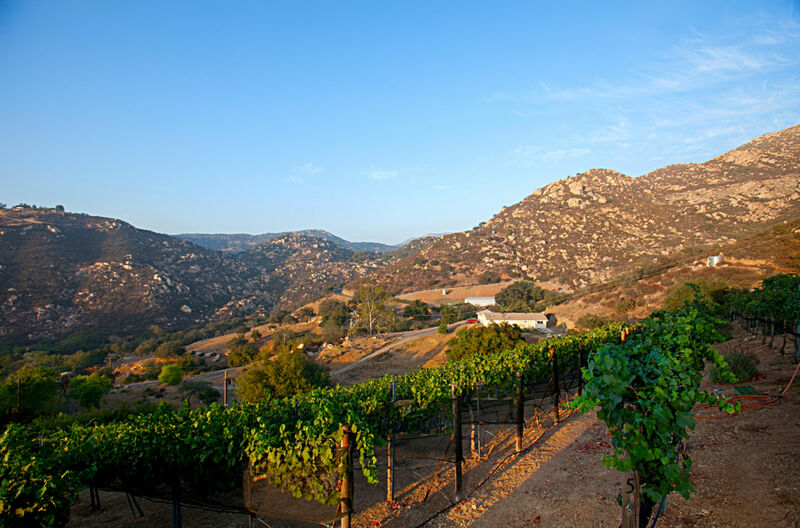 The grapes & wine are estate grown in Jamul in an established, albeit small vineyard. 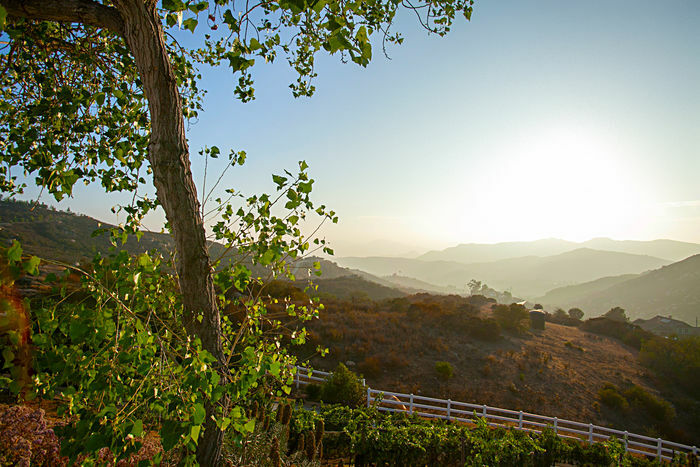 With a focus on the highest quality of control, the wines are produced in small quantities under the close control & oversight of the vintner.